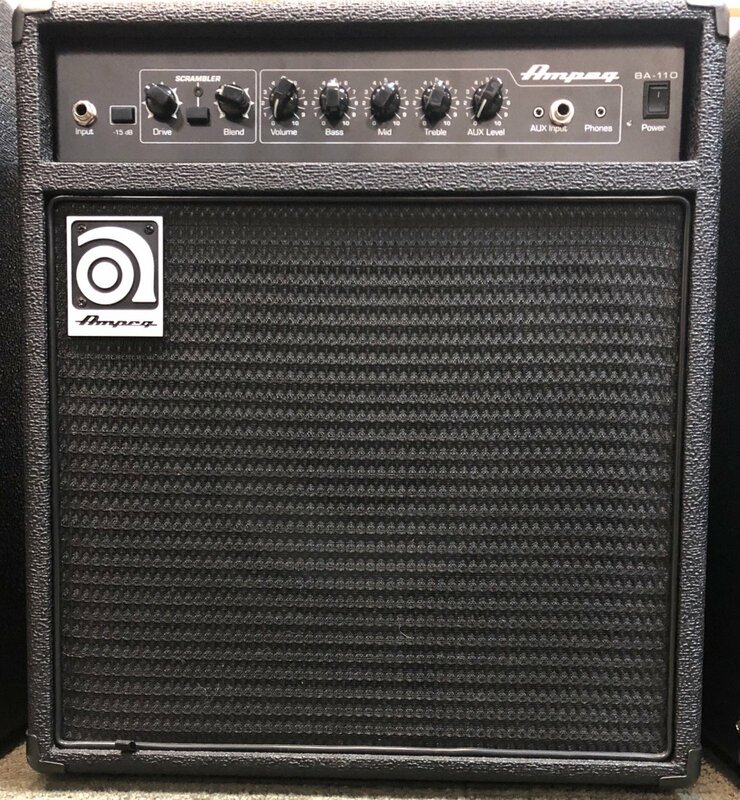 The redesigned Ampeg BA-110 bass combo amplifier is just the right size for rehearsals and small gigs. 40 watts gets you heard by all, and with the new 60-degree wedge you can put the BA-110 on its side and experience the focused sound of a floor monitor. All of the controls are now on the front, so you can dial in some tube grit with the Scrambler overdrive circuit, adjust the 3-band EQ, or turn up easily. Player-focused design makes the Ampeg BA-110 bass combo amplifier an amp you can rely on.